The concept art for a Norweigian mockmentary on trolls looks cute and cartoony until you see them in the film. I've combined descriptions from thehollywoodnews and director André Øvredal's comments on Empire. 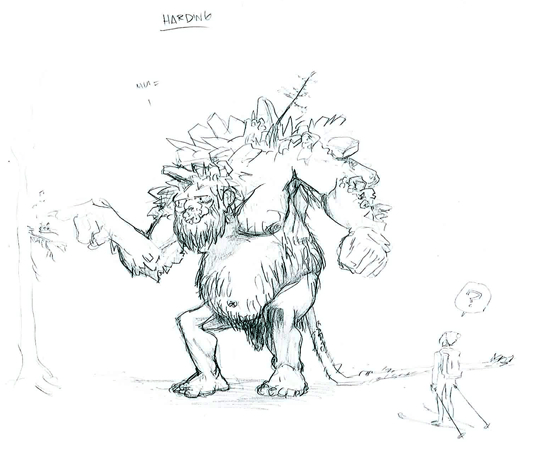 "Our artist, Håvard S. Johansen, was working for months on how the trolls were going to look. This is one where we were discussing how far from Norwegian troll mythology do we dare go? This was too far off, but it was fun to play around with." "This is the final troll in the movie, or the genesis of that. Again, with the trees on his back we were experimenting. This troll is hundreds of years old, so he’s a little stooped over, like an old man." "This is the start of the troll that ended up under the bridge. It has a warrior look — muscular and bullish. The spikes are based on how the stone that is supposed to grow on his back behaves. But we decided it looked too extreme." "I wanted this creature to be quite schizophrenic, in that it wants to go in three directions at once. 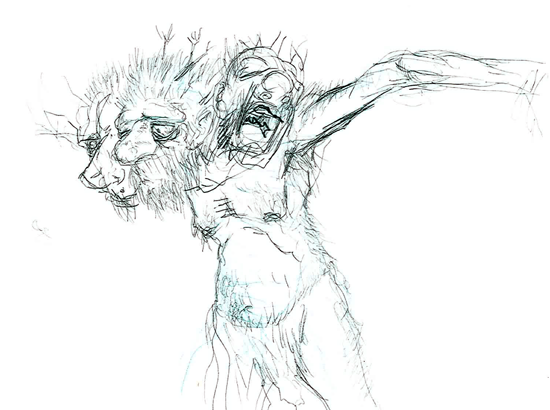 This is one of the first sketches. 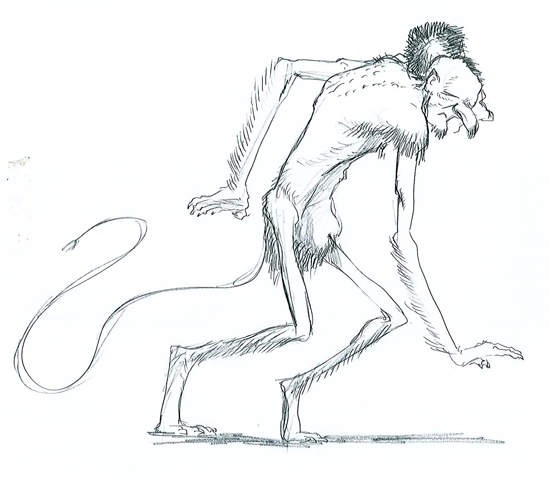 It’s based on the drawings of Theodor Kittelsen and the guys who drew these things in the 18th century." 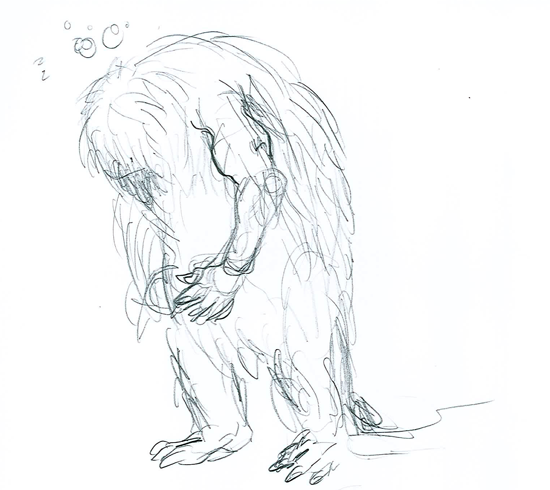 "This one looks like Cousin Itt from The Addams Family! 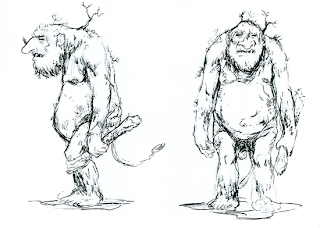 This was the genesis for the trolls in the cave, which were overgrown. 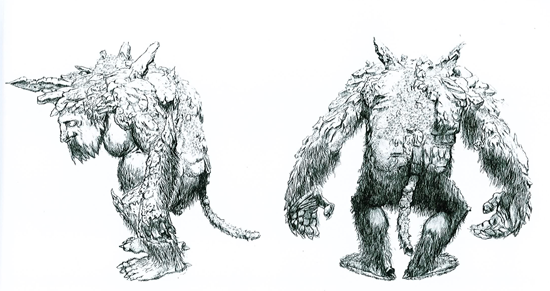 We had to develop a shape, then work on the nose, the fur and the facial expressions." 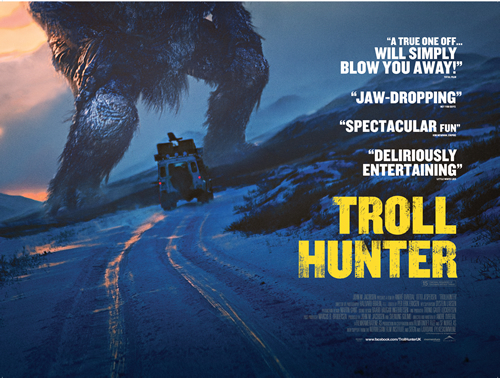 Now check out the terrifying trailer. Check out more of the artist's work at http://havardjohansen.blogspot.com/ and read his commentary on the creation of the art. They said he took it too far! 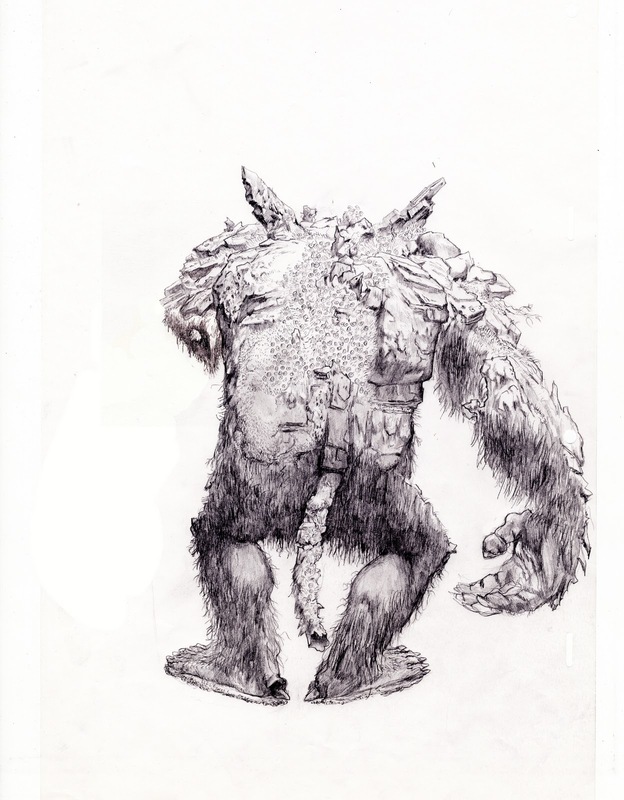 Does this art make you scared of trolls?